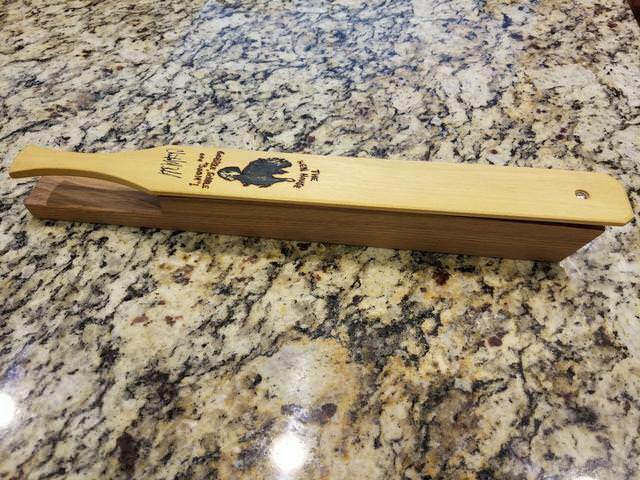 I was going thru some of my box call stock yesterday in preparation for working on my box call list and came across two of these paddles for my 16in long boxes. I made three of these 5 years ago and just never got around to finishing 2 of them. They were to commemorate the opening of my shop in MD. This paddle is the first and only that I've made using yellow heart. I'm going to need to get some more yellow heart! Call is available.